Banner image belongs to The Undefined Photography. Hey guys! Happy Feature Friday! Some of you may have noticed me talking about a local upcoming artist, ELCEE, recently and I'm here to tell you why. I've had the amazing opportunity to work on a fair few projects with ELCEE that I really thought would interest you all so here's some more information about those projects and who ELCEE is, where you can find her music and some information about an upcoming giveaway that we'll be hosting together. 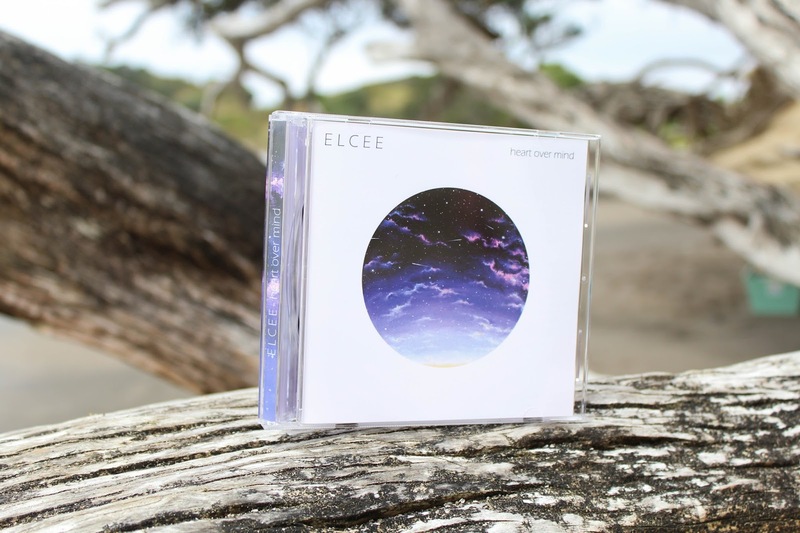 ELCEE's EP is called Heart Over Mind and contains five beautifully written songs that take you on an amazing journey. When first listening to Heart Over Mind, I found myself messaging the songwriter and telling her that each song was my favourite. Every time I moved down the playlist, the next song took over until the last song, Burn Brightly, which remains my favourite - It's totally my rainy day reading song, guys. The cover was designed by the amazing Bethan Powell Art, who took ELCEE's idea of the infinite sky and the inhibitionless state that accompanies it to create such a wonderful work of art. I had the chance to work on the inside of the CD, the CD design, lyric booklet and inside inlay, which was extremely rewarding. It's always amazing to venture out into a different kind of design process. I tried to take a photo of the CD booklet but man was it windy, I'll try again on a calmer day for sure. Now, why am I telling you all this? Honestly, because this CD was the perfect mix of things for me, as I believe it will be for you. 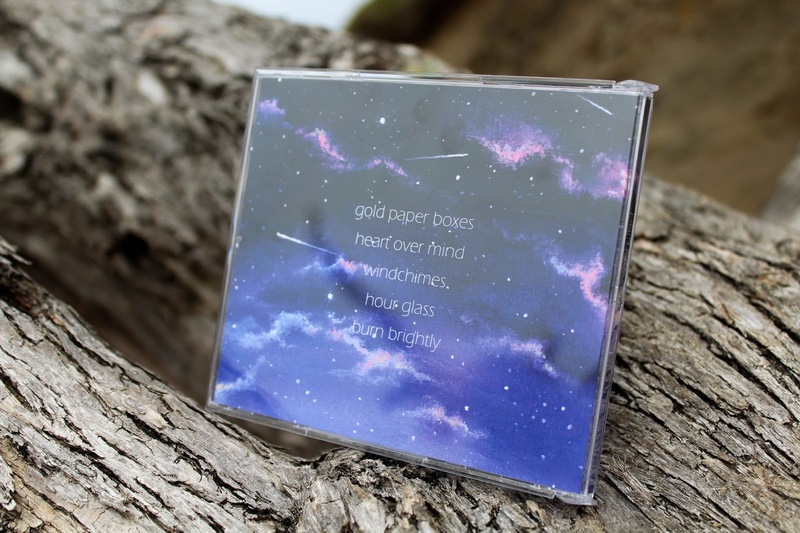 The first three tracks, Gold Paper Boxes, Heart Over Mind, and Windchimes are the perfect summer-y road trip songs. Usually, I listen to the last two songs, Hour Glass and Burn Brightly while I'm reading, so when I finally got my hands on a physical copy and were driving to my usual shooting locations, I put on Hour Glass, but those were suddenly not the songs I wanted to listen to and instead I put on the first three. The EP is a great mix of popular music as well as beautiful melodic songs that you want to listen to while it rains with a cup of coffee and a good book. Because of this, ELCEE and I will be hosting a giveaway together in not only celebration of reaching 60k on Instagram, but also because it's music that I really believe a lot of you will love. So many of you gave me, a teeny tiny business at the time, a chance by ordering my items, so it only seems fitting that I celebrate the occasion by paying it forward. I am not just advertising this because I worked on the design of the CD, but because I think a lot of you will love it. The giveaway will consist of signed and personalised copies of the CD, money to spend on Book Depository, knick-knacks for your bookshelves, magnetic bookmarks, a candle from Frostbeard Studios, a January OwlCrate, a Pop! Vinyl figurine, a keychain Pop! Vinyl, a tote or mug from my store, a tote or mug from FictionTea's store and more! There will be three winners, the prizes have been split into three categories, so no winner will receive every item listed above, but who wouldn't want to enter?! 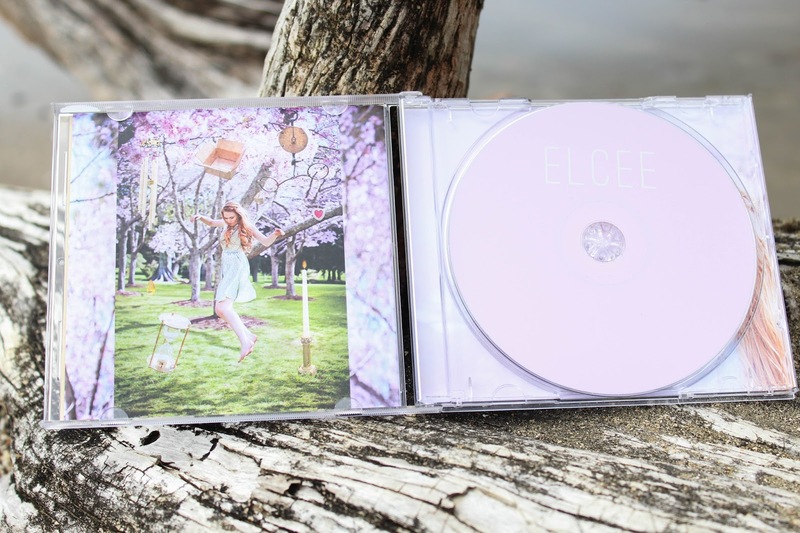 Now, I'm sure you're wondering where you can check out this awesome CD and have a listen and become a fan of ELCEE yourself so I'll put some links below! Like I said, I'd definitely recommend Burn Brightly and Hour Glass for those stormy reading days, and for those of you, like me, in the Southern Hemisphere, check out Gold Paper Boxes, Heart Over Mind, and Windchimes to sing along to on road trips, I can't say it enough! I've even embedded the album below for your listening pleasure! Remember, the EP is only $3.99 on US iTunes and not much more everywhere else in the world, so make sure to support an upcoming artist. If you're interested in getting a physical copy of the CD, you can head over to ELCEE's Facebook Page (here) and comment on her post, she'll contact you ASAP. ELCEE's social media pages are also updated frequently, her Instagram is filled with lyrics, beautiful imagery and stunning pieces of artwork, check them out below! I'll be posting an interview with more information about ELCEE and Heart Over Mind next week. Let me know which song is your favourite and why! I always love to share opinions on these kinds of things and it'll be interesting to hear. Don't forget to comment and subscribe. Came instagram. Love this post I've never heard of them before but I'll definitely be getting into them now! My favorite song so far is Hourglass and my favorite lyrics is "the stars are coming out to be adorned and when it rains they are ignored" I don't really know why I just like it a lot. My instagram is biblioqueer. I'm excited fir your giveaway! Nice! She has a very unique sound and a haunting voice. I like Burn Brightly (All I know is that I think of you when it's raining..).. They're all so good! But I think my favourite is Windchimes. Just, wow. My favorite is burn brightly, I just love the feel and the mood of it. And my favorite lyric would be (I have two) : what do you do in the evening light when all that you yearn for doesn't ignite and the stars are coming out just to be adorned and when it rains they are ignored. I don't know why but I love those. Hourglass: "All the stars are coming out to be adored and when it rains they are ignored"
Gold Paper Boxes "I want to find scattered pieces in my hair..." and the line that starts of with: "In between the tender echoes..."
The mood she creates is just awesome. Hello! I'll start off by saying how awesome your blog is. I'll have to add it on Google plus. I enjoyed Burn Brightly the most of all of them. I liked how sweet the lyrics were and the track was amazing. Came from instagram on @mindofabookdragon. Thanks for this opportunity and congratulations on 60k! Love your shop so much!